HAPPY HAPPY Monday to you. Why is this such a glorious day? Well, I have a BIG announcement to share with everyone. 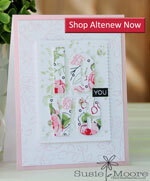 On Friday I was selected as a design team member for Inspired by Stamping. 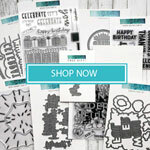 If you haven't been to Joanna's site, you must run right over there and take a look at her stamps. 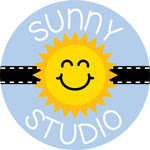 She is a fantastic designer and I know you will love not only her stamps, but her creative and inspirational cards too. Here is a list of all the fabulous new design team members. 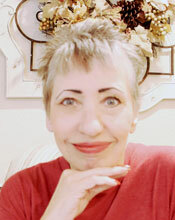 I hope you will take a look at their blogs too. We will start officially designing for Joanna in December. But you will want to visit them all now and bookmark their sites. This is a group of super talented women! 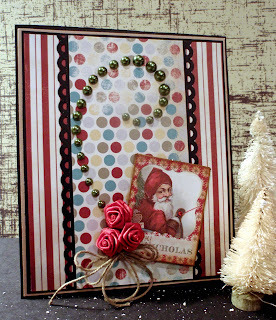 I used the new St. Nick 6x6 paper pack from Fancy Pants. Even the little Santa is from that pack. Of course he is mounted on a few layers of chipboard. 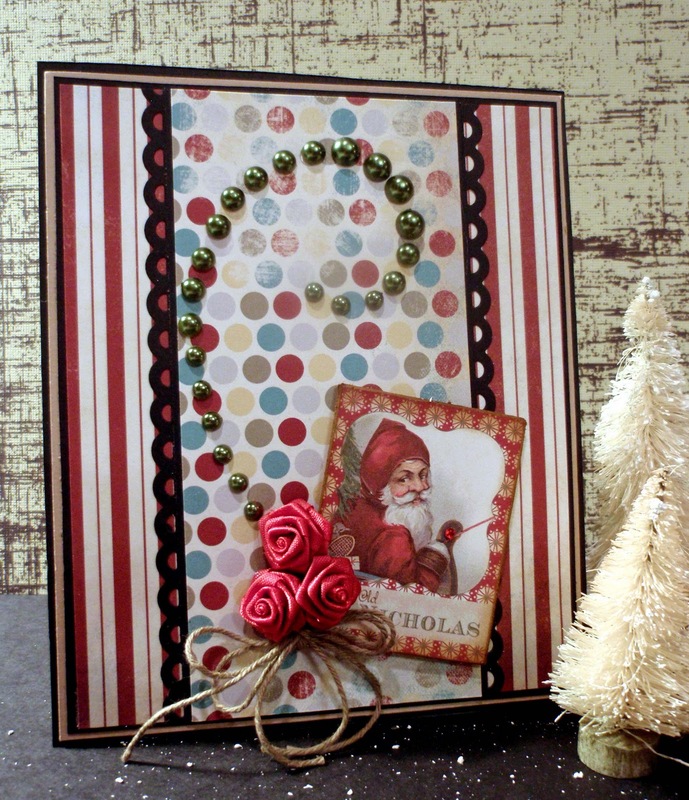 The die I used is the Scalloped Ribbon Border from MFT Stamps. What I like about this die is that it is the same on both edges, so when I need two small borders, I can just slice it right up the middle and use the one die cut. I added some paper roses, twine and bling and called it done. Clean and simple with just a little bit of sassy! Well, that's quite a bit of information for one day. But I just HAD to share. Please come back tomorrow for a shorter post. I promise - short and sweet and pink. Hi Susie! What a gorgeous creation! I love the little bit of "sassy", especially the pearls! SO pretty! 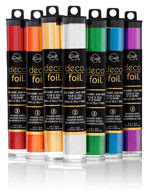 I am looking forward to creating with you on Joanna's new team! Congrats! Thank you for stopping by Freshly Made Sketches and playing along with us!!! This is going to be a fun year! Fabulous card Susie ... love the pearl swirl and how gorgeous are the paper roses, twine ... love it!!! Beautiful card! Love all of the vintage elements! Congrats on your new design team! Looking forward to all of your creations! I really love the vintage feel of your card! And congratulations on being selected for the new Design Team. Best wishes! Thanks for playing with Freshly Made Sketches! Congratulations on the DT!! I can certainly see why you were chosen. What a beautiful card! So glad you joined us at Freshly Made Sketches this week! !